The Twinners Reviews & Giveaways: Hi Ho Cherry-O Game Winner!! Hi Ho Cherry-O Game Winner!! 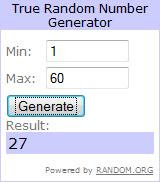 Congrats to mandala, comment #27, on winning the Hi Ho Cherry-O Game giveaway!!! Enjoy the game and good luck in my other giveaways!